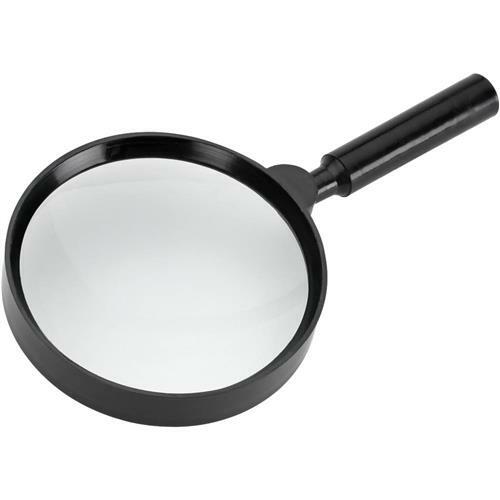 Become a super sleuth with this powerful super size 5" glass magnifier. The glass lens resists scratching for long dependable service. Great for all close-up inspection work. This magnifier is large with a good optical lense. Well constructed. A great tool.